Get your motor runnin’ for one of Monterey County’s largest events of the year! Motorbikes take over Mazda Raceway Laguna Seca during the Red Bull U.S. Grand Prix. MotoGP enthusiasts from around the world converge on the track to see who will take home the grand prize. Activities begin on Friday with the main MotoGP race taking place on Sunday. Friday-Sunday. 1021 Monterey-Salinas Highway, Salinas. Click here for tickets. The Monterey County Fairgrounds will be jammin’ as one of the largest reggae festivals in Northern California sets up shop. The Monterey Bay Reggaefest features over 20 performances from star reggae performers, dance hall acts, and cultural dancers throughout the three-day celebration. Top acts include Maxi Priest, Finn, Pyrx Band, Capleton, Judy Mowatt and many more! Friday-Sunday, 2004 Fairgrounds Road, Monterey. Click here for tickets. Don’t miss the last weekend to catch a performance at the Carmel Bach Festival! The music festival wraps up on Saturday but there are still plenty of chamber concerts, pre-concert talks and main concerts left to enjoy. 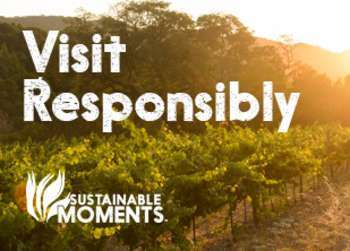 July 14-July 28, various venues in Monterey County. Click here for ticket information. Pacific Grove’s most anticipated event of the year is finally here! The Feast of Lanterns is packed with good old-fashioned fun for the whole family throughout the weekend. Friday welcomes a pet parade at 2:30pm on Lighthouse and the Feast of Dancing kicks off at 6pm at Chautauqua Hall. Saturday is the main event with children activities, live music and games beginning at 11am at Lovers Point Park. The pageant will begin at 7:45pm. Sunday hosts the closing ceremonies at Chautauqua Hall at 2pm. Pacific Grove. Free event. The Monterey County Film Commission has teamed up with the Museum of Monterey (MOM) for a special film screening of “In Like Flint.” This hilarious spoof on the famed James Bonds films is sure to be a good time. Friday at 5pm and Saturday at 2pm, 5 Custom House Plaza, Monterey. Free with museum admission of $10. Pair some good-old Americana melodies with delicious wines from Pierce Ranch Wine Vineyards this evening. The Scott Cooper Acoustic Trio performs in the tasting room with members from the China Cats. 8:30pm-10:30pm, 499 Wave Street, Monterey. $5 for those 21+. Looking for an outdoors activity? Earthbound Farms in Carmel Valley is holding a garden walk and workshop with Janna Jo. Here you will learn all about local and seasonal bounty with a correlating hands-on project. Stay until 1pm and learn how to make garlic braids as well. 10am-12pm, 7250 Carmel Valley Road, Carmel. $15 for adults and $5 for children. Kids going summer stir crazy? Bring them to Science Saturday at the Pacific Grove Museum of Natural History. This month’s edition highlights bugs where kids will be able to see real life bugs, build their own insect and play along in an eye-spy themed bug hunt. 11am-3pm, 165 Forest Avenue, Pacific Grove. Free event. Stop by Cannery Row and scope out some of the hottest motorbikes in town for the MotoGP races. Race Nights on the Row will host over 2,000 riders and their bikes for a night full of great spectating. 5pm-11pm, Cannery Row, Monterey. Free event. Need a date night idea? 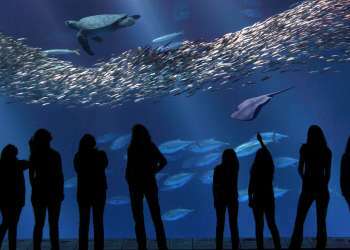 How about Evenings by the Bay at the Monterey Bay Aquarium? This popular event allows visitors to stroll through the exhibits while enjoying live music and special programs. 6pm-8pm, 886 Cannery Row, Monterey. Free with aquarium admission. Aaron Glass and Friends performs at Big Sur’s Fernwood Tavern tonight. Swing by and check out this Santa Cruz local’s original take on folk music. 9pm, 47200 Highway One, Big Sur. Free event. One of Monterey County’s tiniest towns explodes today during the widely popular Moss Landing Antique Street Fair. Over 200 antique and collectible booths converge on this small harbor town selling some of the best antique items around. The fair will also include appraisals, seminars and plenty of food and fun! 8am-5pm, Moss Landing. $5, children under 12 admitted for free. Big Sur River Inn hosts Roger Eddy and Friends this afternoon out on the patio. Pull up a chair in the river and enjoy this live jazz act! 1pm-4pm, 46840 Highway One Big Sur. Free event. Grab a drink at Peter B’s Brewpub and enjoy some rockin’ tunes from Bryan Diamond this evening. 3pm-7pm, 2 Portola Plaza, Monterey. Free event. The Monterey Bay Aquarium is open late for another edition of Evenings by the Bay. This is a great way to see your favorite animals with a smaller crowd and live music. 6pm-8pm, 886 Cannery Row, Monterey. Free with aquarium admission.